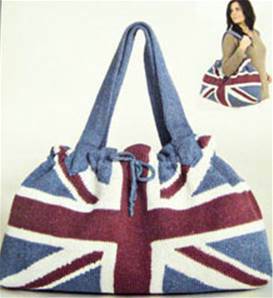 Perfect for picnics, this patriotic bag in Twilleys Freedom Echo DK recycled cotton is environmentally friendly too. Bag approx 50 x 35cm (20 x 14in). Bag: blue 6 balls, white 4 balls, red 3 balls. Shown in Twilley's Freedom Echo DK recycled cotton, shades 903, 901, 904.